Hi, I’m Norbert Iacob from Romania, and I’m part 3D artist and part Unity developer…I know, a weird combo. I was always a creative person, seeking to satisfy my creative needs in everything I did, my favourite childhood games being the likes of Transport Tycoon, Sim City 4, Sims, Spore, Zoo Tycoon, strategy games, and even Minecraft for a while. My first contact with modelling was through Solidworks for a college project back when I was an Automation Engineering student 5 years ago. After I finished the project it occured to me that I could use Solidworks for other things too… like creating (very bad) spaceships for fun. Very quickly I realised that Solidworks won’t cut it, so I learnt to use 3DS Max to create the next generation of very bad spaceships. These new ones didn’t have 17 million triangles each, so they were actually usable! My very first uploads attracted the attention of a mod team for Freelancer, and I agreed to create a few ships for them for free. This forced me to learn a lot about textures, unwrapping, optimisation… basically everything it takes to integrate a 3D asset into a game engine. All this game engine talk got me curious and excited to try my hand at coding something of my own. The idea of bringing my 3D assets to life inside a game engine completely fascinated me and has driven me to stay up late figuring out why that damn turret was turning the wrong way! 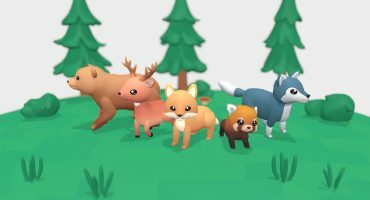 I quickly learned the basics of Unity development and soon thereafter, I found a job opportunity at a small local game development startup as a programmer. In time, I became the go-to person whenever there was a problem at the 3D art department (and by department, I mean the guy sitting behind me). Occasionally I even helped out with the modelling. 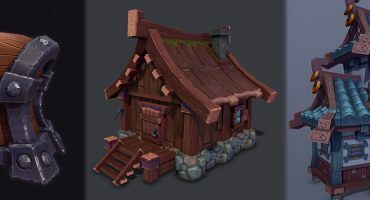 I started creating and selling assets part time as soon as I discovered the Unity Store, and I decided to focus more heavily on it when the company I worked for had to close after 2 years. Since then, I diversified on multiple marketplaces, most recently Sketchfab, but I still do occasional programming work as a freelancer. It’s not easy to decide when to take on some paid work, and when to focus on creating your own assets and selling them. Although the short term gains of paid work are very tempting, sometimes it pays off to focus on the long term. Personally I’ve found that, even though sometimes it takes me a month to create a high quality game asset, during which I’m not getting paid, and often the initial gains after upload are underwhelming, during the following months, the profits add up! My advice is to try to create a really high quality asset, as they remain relevant and usable to developers for a longer period of time, and also you can ask a higher price for them. But if you are short on cash, you might be forced take a paid job for a while as selling your own assets does not guarantee any income. If you’re just starting out, and your income doesn’t depend on selling your work, my advice would be to pick whatever you’re passionate about. This will help you to stay motivated and learn faster. I started with spaceships but recently I really got into cockpits and even buildings. 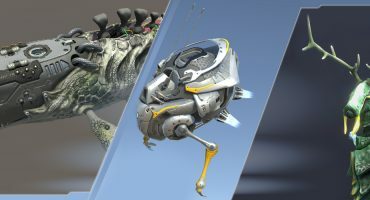 If you’re a more experienced and versatile 3D artist, and you want to maximise your profits, it might be a good idea to look into current trends, or even predict them. Also, look at the competition: how many others are doing the same thing? What quality do they offer? Could you do it better? Cheaper? More versatile? My background in Unity development taught me a few things about the way assets are actually integrated into games, so whenever I’m creating something for the stores, I try to make them as user friendly and as optimised as possible. I often go overboard with the optimisation, spending hours removing individual edges, which is not ideal. I also love to offer customisability. Usually using numerous texture sets or even Substance Materials. Include LODs. Some buyers will only need the lower res assets for mobile applications. Mention the triangle/polygon count in the description or on your screenshots. Offer multiple texture variants. For example: when including the basic Roughness maps, also include a Smoothness map (inverted roughness), or even a MetallicRoughness map (with metallic on RGB and roughness on Alpha)… the unity devs will love you. If you offer multiple color schemes for your assets, consider including a PSD file with separate layers. Your customers will appreciate the added level of customisation. Avoid unnecessary frustration for the buyer by naming and organizing your files. This also applies for your sub-objects inside your model, in case your asset has multiple components. I usually price my models in the range of $20-$35 and I’ve found that it seems to be a sweet spot for affordability for the buyer and profitability for the seller. Selling anything cheaper means you’ll need to ship an awful lot of units, which is challenging. And asking for more money drastically reduces the number of people willing to pay the higher price. Of course, this all depends on what you’re selling. If it’s a huge pack of hundreds of buildings and props, you’ll need to set a much higher price. But consider selling the components individually as well; I’ve found that sometimes buyers are not interested in large packs. Sketchfab is hands down the best platform to show off your work. Especially for game assets, due to the texture and wireframe inspector tools. My favourite thing about Sketchfab is the fact that, once uploaded, your asset speaks for itself. No renders or thumbnails needed. Just upload the mesh and textures, set up the materials and tweak the post-processing for added effect. The team is excellent as well, and super friendly. I once had an animation bug, contacted the team and it got fixed in a few days without me having to do anything.